Sunset at St. Andrews, constructed in 2005, is an 18,280 SF multi-tenant, retail shopping center. The development is located in Hollywood on Sunset Boulevard between the 101 Freeway and Western Avenue, which is the border between Hollywood and East Hollywood and has one of the highest population densities within Los Angeles County with an estimated population of 85,000. Unlike conventional retail centers, Sunset & St. Andrews is configured with the parking at the rear and the retail spaces fronting the Sunset Blvd sidewalk. This arrangement enhances pedestrian activity and encourages outdoor dining spaces which are greatly desirable amenities in this neighborhood. The property is adjacent to Orchard Supply Hardware and directly across from a 24-hour Home Depot where more than 40,000 cars pass by the property each day. 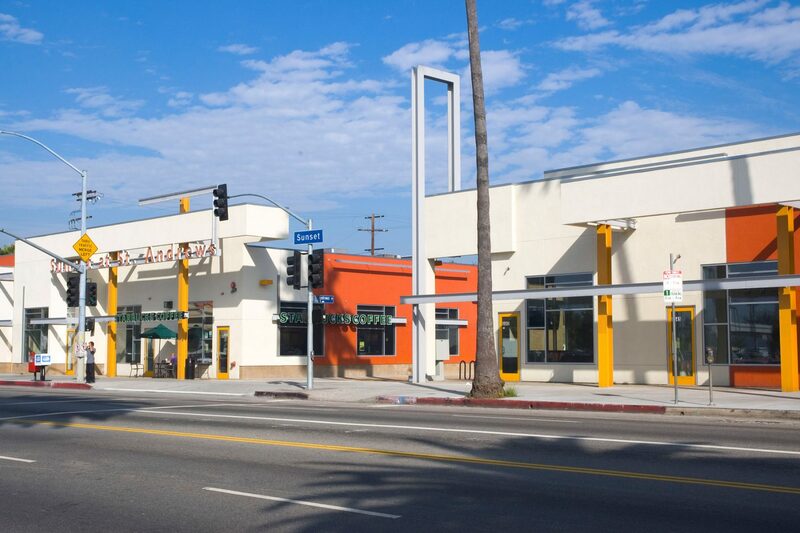 Strong performing tenants that occupy Sunset at St. Andrews include Starbucks, Subway, GameStop, H&R Block, Yogurtland, Ono Hawaiian Barbeque, Pollo Campero, Pizza Five85, and Panda Express.